Porsche vehicles are examples of mankind’s love of beauty. The crown molding in The National Gallery, crowning the room that displays a variety of Caravaggio’s gorgeous paintings, is truly akin to each and every Porsche model on the road. Certainly, it’s a precision vehicle that can outpace just about anything else on the road with its lithe figure and aerodynamic body, but it’s also a piece of your history and the company’s history. A Porsche ultimately provides something you just can’t find in an American-made vehicle: timelessness. But they certainly have their downfalls, and a machine as beautiful as this one will certainly experience the occasional downfall simply because of how many different parts it has moving at any one time. 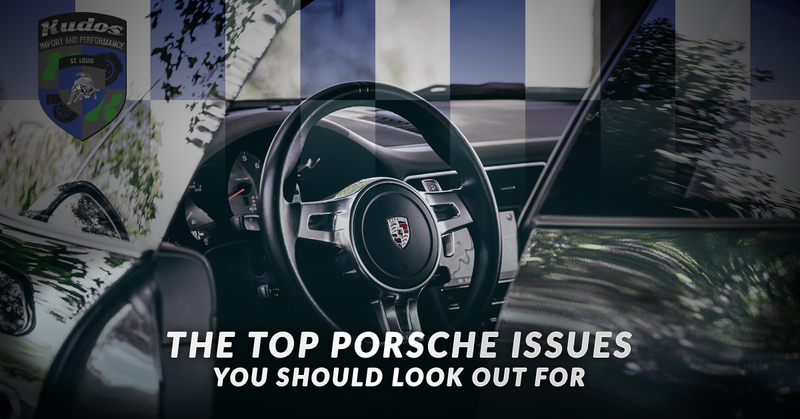 Here is a list of the top concerns for your Porsche. Keep an eye out for the warning signs and you’ll be much better off. This is rarely as dire as it seems. The OBD system in any Porsche is set up to be a really great early warning system about the continued well-being of your vehicle. That being said, the system can be a little trigger-happy in a sense, and it will give you a warning as soon as it even catches a glimpse of a potential problem. This jumpy reaction on the system’s part often renders it incorrect in most areas. You can easily take it into Kudos Import Auto in Chesterfield and access a quick maintenance check to ensure that it’s just the cold that’s setting off the sensor, rather than something much more serious. If you want your combustion engine to continue working, you’ll need to provide the fuel, the spark and the air to make it combust properly. If you have a dirty air filter, your engine won’t be able to access the airflow that it needs to ensure that your engine isn’t sputtering, dying out and idling unevenly. If you notice any of these issues in your Porsche, you just need a new air filter. Get that fixed before it causes a more expensive repair in the future. Don’t wait for what could be a small repair now to inflate into a much larger, more expensive repair. Bring your Porsche into our new Chesterfield location on a regular basis to get the oil changed and get a diagnostic on what might be going wrong with your vehicle. A busted water pump is better than a cracked engine block. Contact us now to get your import auto maintenance schedule set in stone.